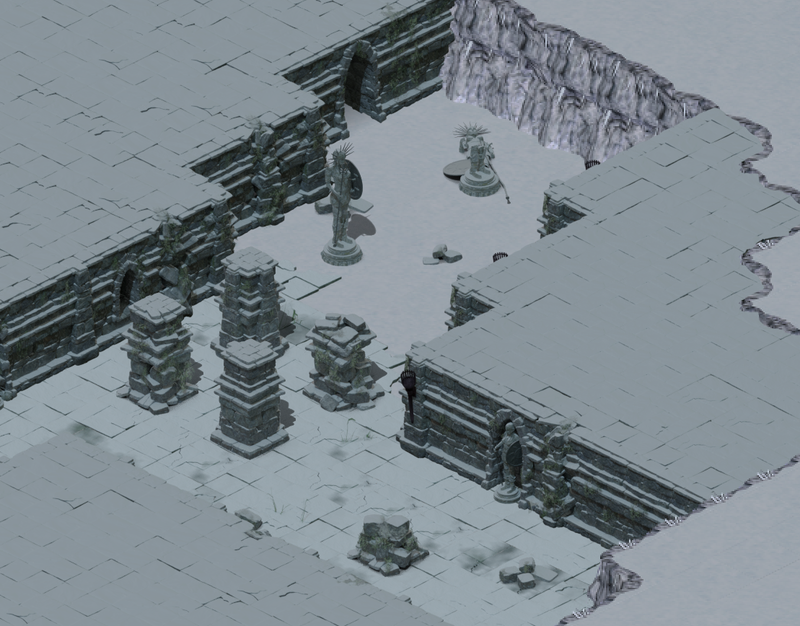 I made an isometric ruin tileset for the flare game, modeled in blender and rendered in cycles. 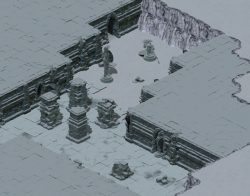 Included are different versions (128x64 and 64x32 isometric tiles), also included is a winter / frozen variant of this tileset. First I planned to create something like a "dungeon outdoors area"
Note that the source file is really large due to the huge amount of models and packed textures (unpacked almost 200 MB), also the source file is a bit "complicated" (I added an extra readme for that file). 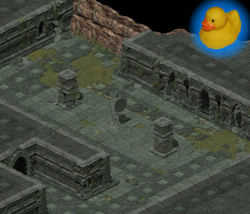 I get the feeling this could be changed easily to a swampy ruins set, just adding a few swamp waters and swamp to land transitions tiles, maybe a mayan-like or two statues. Phenomenal work. Definitely going to be used in the Flare expansion.